One common misconception I encounter when discussing the potential of e-learning concerns the disconnect between trainer and learner. This is understandable as, after all, the trainer is either not physically present when the learner goes through a module or, in the case of asynchronous e-learning, doesn’t exist in human form at all. This disconnect concern is a misconception, however, because with e-learning you can actually enhance levels of interaction between the learner and the trainer or course creator. You achieve this by building into your courses effective learner feedback. The type of feedback you can get is only limited by your imagination. It can be automatic, such as letting you know a module is complete, or it can be manual by, for example, getting the learner to complete a survey. In addition, you can get learner feedback at various stages. This includes during the course, immediately after the learner finishes, and at later dates where you can check retention levels. Improves the motivation of learners – if you respond to feedback from learners you will encourage them to continue improving. You can give feedback automatically or manually. An example of automatic feedback is awarding a badge if the learner gets a high enough score on a quiz. Allows you to assess the capabilities of learners – you will also get a better understanding of the skills level and knowledge of learners when you build learner feedback into your courses, i.e. you will know which learners do well and which ones don’t. Enables you to identify parts of the course that need refinement – learner feedback is also a tool you can use to improve your courses. For example, a majority of learners failing to get a good score on a quiz at the end of a module might indicate there is a problem with the quiz (it is too hard) or a problem with the content of the module (learners don’t get a full grasp of the subject). Allows you to check knowledge retention – you can get feedback from learners several weeks or months after they complete a course to see how well they retain the information. You can use this to assess the effectiveness of the course and the long-term abilities of learners, plus you can use it to plan future training. Enhances the learning experience – for all the reasons in the points above, learner feedback in e-learning improves the learning experience. Improves outcomes for your organisation – following on from the last point, your organisation will benefit too and you will improve your overall approach to training. A lot of the above points could, with a well-structured course, apply to in-classroom training. After all, learner feedback is crucially important in all forms of training. With e-learning, however, you can obtain learner feedback more effectively and you can put it to better use. Here’s why. Instantaneous – feedback in e-learning is instantaneous. For example, survey or quiz results are available to you as soon as the learner completes them. Automated – as the process of obtaining and accessing learner feedback in e-learning is automated, there is no need for someone to gather the feedback, collate it, and generate reports. With e-learning, you simply click a button and the feedback is available. Action – because you receive learner feedback immediately and the process is automated, you can take action promptly. In fact, it is even possible to use information obtained from learner feedback on the learner’s next module. Saves money – you will save money using e-learning as you don’t need to allocate resources to obtain and assess learner feedback, plus it cuts down on paperwork. 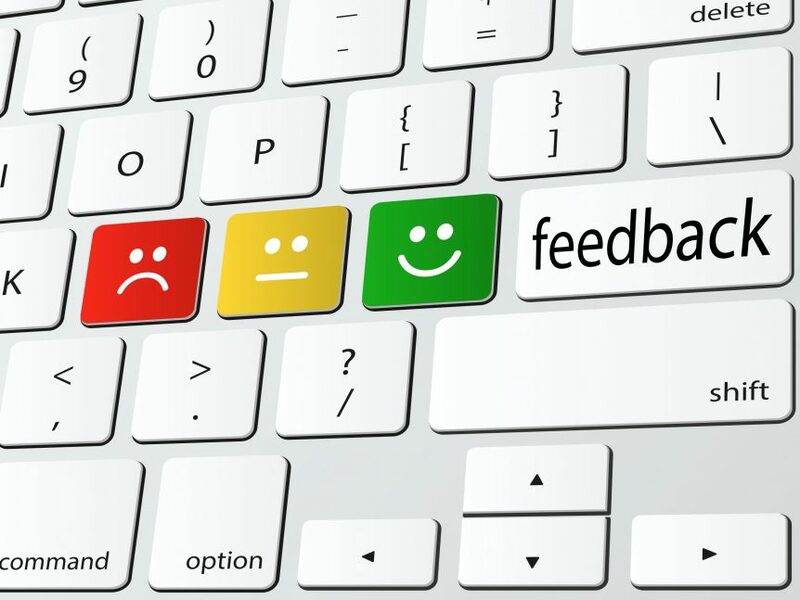 The advice is, therefore, simple – make sure learner feedback is a key part of any e-learning course in your organisation.